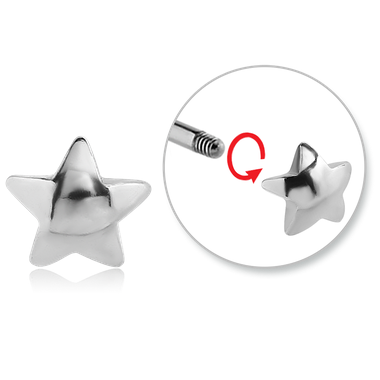 LIMITED: Add some excitment to your simple barbells with these subtle star attachments. This piece will comfortably fit a 1.6mm (14g) piece and are flat so they fit flush to the skin. 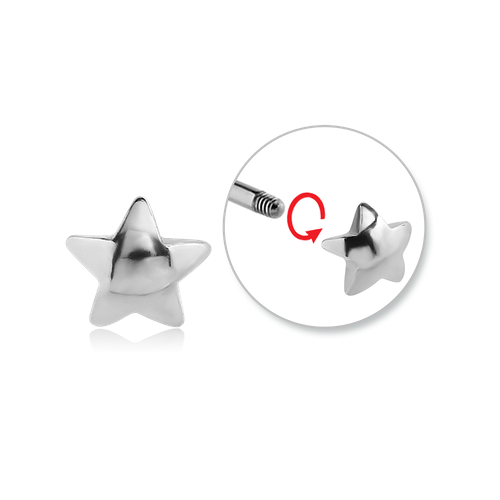 Perfect to add something new to your tongue, conch, navel or any 14g (1.6mm) piercing!